Today I celebrate twelve years of blogging. I can honestly say that I have enjoyed every moment of it, even though blogging requires an investment of time, effort, and money. I have never asked my readers for money and will never do so. 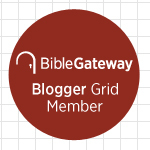 I consider the money I spend in blogging to be a contribution to the cause of disseminating an appreciation for the Old Testament as the Word of God. As for time and effort, my posts come out of my reading, my research, and my teaching at Northern Seminary. Every time one of my students raised an issue in class, I wrote a post about it. So, I have to thank my students for the inspiration I received from them for developing topics for my blog. I will miss my students and the wonderful exchange of ideas we shared in class. On the occasion of the twelfth anniversary of my blog, I would like to thank my son JR Mariottini for helping me start the blog. Over the years JR has given me ideas for posts and suggested topics for me to research and write. One of his favorite posts is The Challenges of Parenthood, a post that JR and I have shared many times with parents who have problems with their children. The main focus of my posts has been the Old Testament and archaeology. I avoid politics. I have written about Nancy Pelosi and Barack Obama, but only when what they say and do are related to Old Testament issues. I have not blogged very often about my family and friends. I have blogged about Virginia Morrell, my mother-in-law, because she was a very special person in my life. I have blogged about Paul Klec, a member of my church, because he was a dedicated Christian who used to tell me the most amazing stories about World War II. Again, the focus of my posts has been the Old Testament/Hebrew Bible and archaeology. A brief look at the tags on my blog indicates that archaeology, the Hebrew Bible, and the Old Testament receive the largest numbers of tags. I have written posts on almost every book of the Old Testament. Eventually, it is my intention to write a post on every book of the Old Testament. As for the future, if you look at the Archive section of my blog, you will discover that several series of study have not been finished. As an example, of the ten studies I proposed to write on suicide, I have written only three. I am planning to finish them in the near future. I have several other projects in mind for future posts. I will not mention all of them, except that I am working on a series of studies on the cannibal mothers of the Old Testament, on the Ten Commandments, and on Psalm 23. Other series of studies will be announced at a later time. If you have not yet entered your name to receive a free copy of my book, you should do so today. Two more books will be given in August (Monday, August 21 and 28) and four copies in the month of September. 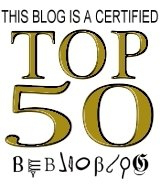 Thank you for being a reader of my blog. Because many of you share the links to my posts on Facebook, Twitter, and other social media platforms, my blog reaches people in 142 different countries. So, in a sense, whenever you share one of my posts, you are also disseminating an appreciation for the Old Testament around the world. This is the reason I am so encouraged by your support and this is the reason I am motivated to give free copies of my book to you for your support and encouragement. 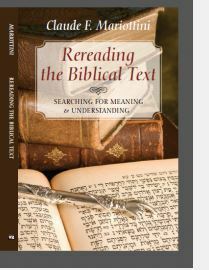 This entry was posted in Blogging, Free Book and tagged 12th Anniversary, Blogging, Book Giveaway, Free Book, Rereading the Biblical Text. Bookmark the permalink. Thank you for your congratulations on this special occasion. I appreciate the way you promote the content of my blog. I am sure that many people read my posts because of your sharing my posts with others.